I've been a passionate supporter of evolution, but now . . .
A recent find from the Flinders Ranges of South Australia will shake the theory of evolution to the core. But no-one knows about it. I've tried to talk to palaeontologists about it, but the refuse to discuss it. Evolutionists I've known for years no longer reply to my emails. I've been ignored buy organising committees for conferences and symposiums in favour of other evolutionists when I have earth shattering evidence against their pet theory. They may have frozen me out, but I will not be silenced. From a Precambrian site deep in the Flinders Ranges, I was guides by something . 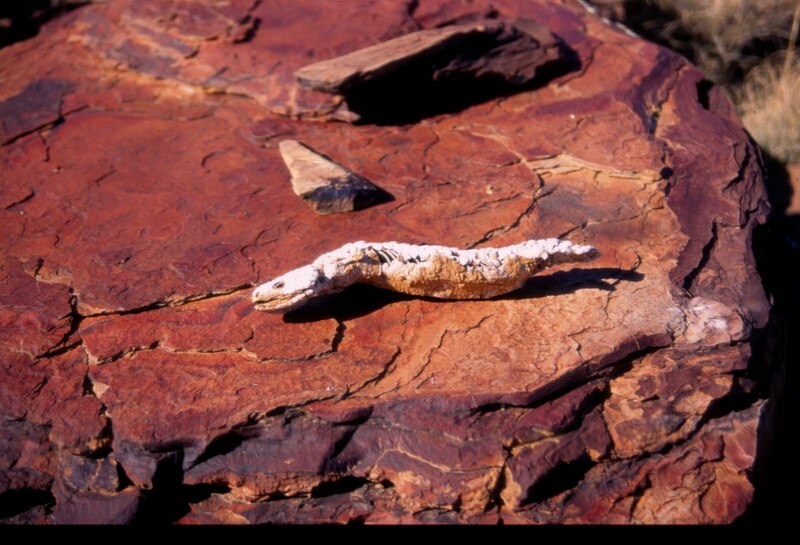 . . or someone, and I found startling remains - reptile remains with clear preservation of skin. How could that be if the 'so called' (in my opinion now) theory of evolution is true? How can exceptionally preserved reptile remains be present at a Precambrian site? It can't. But it is. So evolution must be false. Click on the link below and spread the evidence the the evolutionists have tried to stop me from exposing. You almost fooled me, I thought your website was pirated by a creationnist! LOL it's still March 31 here, I'll post to PT and see if any Sal Cordova types bite. Bloody Aussies, hours ahead of everybody else! By any chance is this research supported by the University of Wallamalloo?